No doubt gravel bikes are becoming more and more popular. Also in Barcelona and Catalonia gravel cycling is more and more usual. We all feel safer in gravel paths with no traffic, and around Barcelona we have a lot of nice paths in the mountains surrounding the city. When we hit the road again, gravel bikes are not much slower than conventional road bikes! Typically, with 35 mm tyres, roadbike handlebar and disc breaks, the gravel bike looks and feels like a road bike, no doubt. We are offering gravel bikes to rent in Barcelona and all of Catalonia. 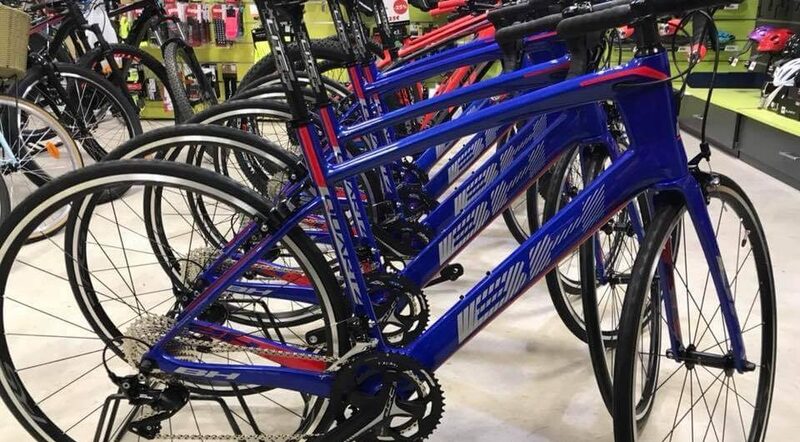 Nice Specialized Diverge, by the way. We are also offering our Barcelona Girona gravel ride in just 115 km, great way to put together both cities! Will you try them? Today we had Chris and Victor from Chicago doing our Barcelona tour. Demanding tour for them, arriving from a very flat area in the US! Nevertheless, we adapt our tours to everyone needs in terms of distance and difficulty. In our private tours we include roadbike rental, guided tour about 80 km long and pick up/drop off at hotel. Good workout guaranteed!! Cycling in the best roads around Barcelona! If you already registered for 2018 Barcelona Ironman 70.3 you might want to reckon the cycling route. Absolutely worth. Nothing to do with the typicall coastal road by the sea, tribars, head down and full speed. This a demanding cycling route with 3 long climbs (Collsacreu, La Costa del Montseny, Collsacreu again) and also a technical descent. Then, a reckon of the cycling route might mean several minutes on the race! In Montefusco Cycling we take you guided to the 90 km route. This way, you know in advanced the tricky cycling route the organizers prepared for you! If you need to rent a carbon road bike in Barcelona we have some BH Quartz for you! Full carbon, compact crank 34-50, 11 speed... Ready to roll! Our rental bikes are ready to climb the steep mountains around Barcelona and also to race in the multiple Triathlon competitions we have in Catalonia. More information here. Our guide Adrià had today Soren and Michael from Denmark, and showed them the best roads around Barcelona. Amazing views, tough climbs and good roads around Barcelona!